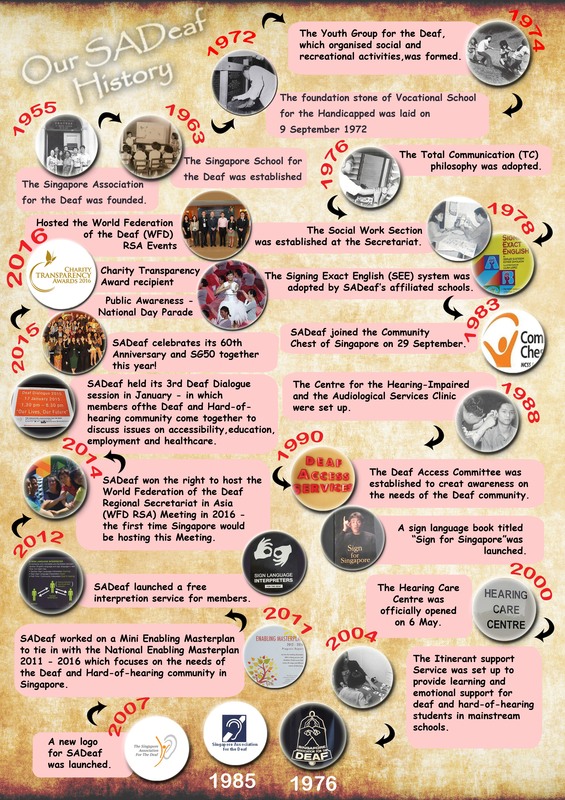 Established in 1955, the Singapore Association for the Deaf (SADeaf) has been serving the Deaf and Hard-of-hearing community for the past six decades. SADeaf is a member of the National Council of Social Service (NCSS), and is supported by Ministry of Social and Family Development (MSF) and Ministry of Education (MOE). 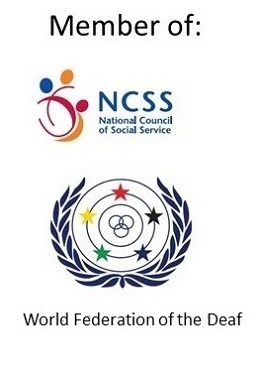 The association is also affiliated, internationally, to the World Federation of the Deaf (WFD) and, locally, to the Children Charities’ Association (CCA). Get a copy about the milestone of our history.